We all love reading such posts right? And if you don't still go ahead, humour me! I follow my skincare routine religiously and try to stick to one set of products unless I am testing something. The following routine has been the one which is going so well with my skin and doesn't put a hole in my wallet; I thought I'd share with you all what I do and maybe you will find it helpful. For reference, I have a combination skin in summer and in winters the area around my cheeks and mouth gets very dry. STEP 1 - I start off with removing all my makeup. I soak cotton pads in Maybelline Jade Waterproof Eye Makeup Remover and swipe away all my eye makeup. I am really impressed with how quickly it takes off any stubborn mascara and does not irritate my eyes at all. 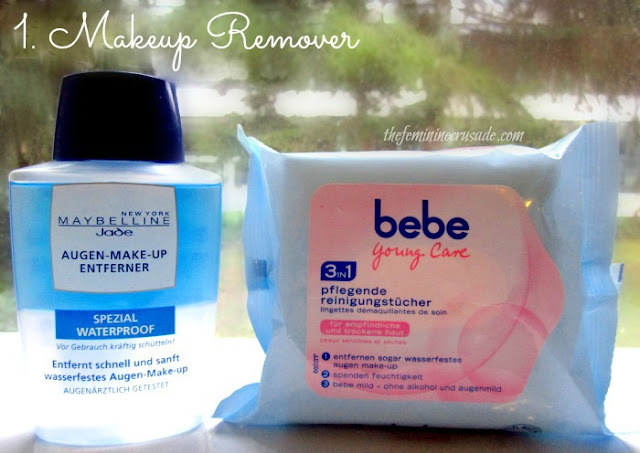 For the face, I use Bebe Young Care Makeup Wipes which are the first cleansing wipes I ever tried and luckily they worked out perfectly. STEP 2 - In case I have been wearing a lot of makeup that day or I feel really grime-y I follow up with a cleanser. 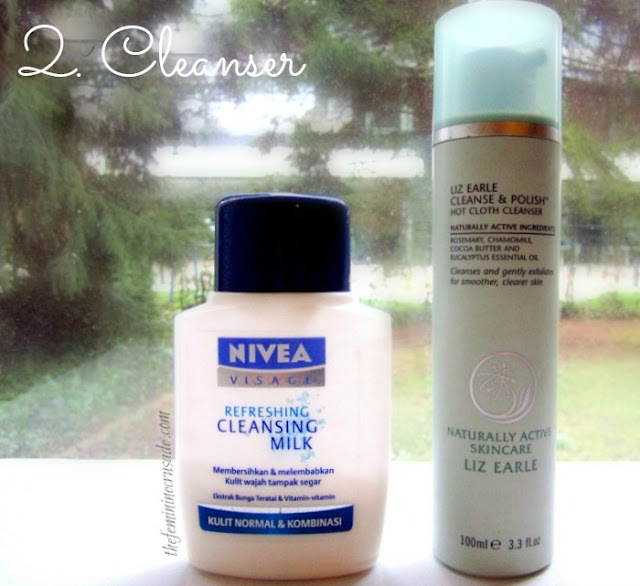 My favourite is the Liz Earle Cleanse & Polish but since it is somewhat a pricey I alternate it with Nivea Cleansing Milk. It is not however a good alternative as it does it not clean as well as the Liz Earle one, but still it is doing the job till I find a better one. 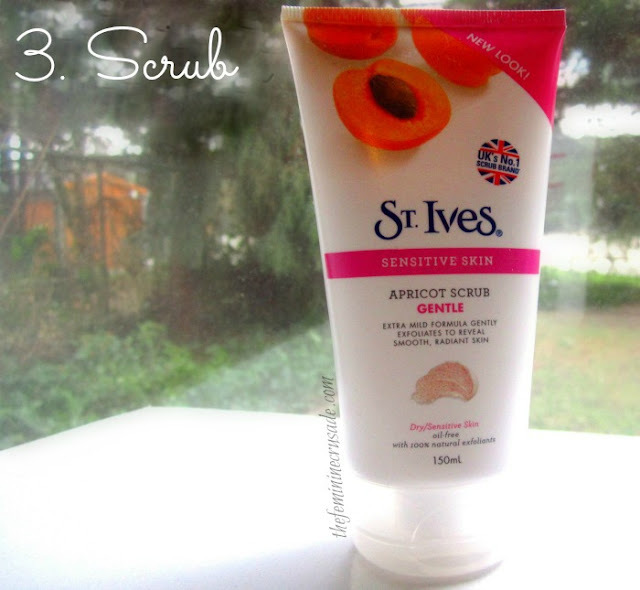 STEP 3 - I have been very loyal to St. Ives Apricot Scrub for years. Currently I am using the Gentle one which is for sensitive skin. I don't use a scrub every day, again only when I have been wearing a full face of makeup or want to give an extra treatment to my skin and at least once or twice a week. 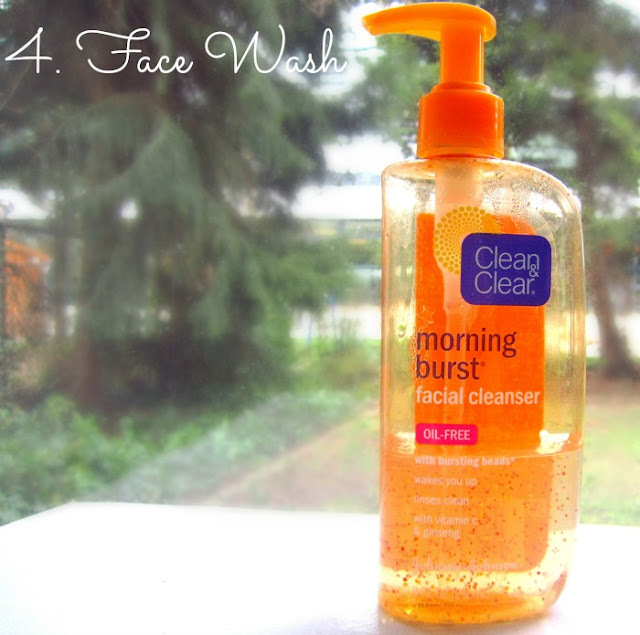 STEP 4 - If I do not use a face scrub I follow with an ordinary face wash in this case Clean & Clean Morning Burst Facial Cleanser. I am not overly fond of this product but since it has not given me any skin problems I intend to finish the bottle. STEP 5 - I was using Liz Earle's Instant Skin Tonic for quite some time. Again it's hard to get Liz Earle products frequently and it's harder to let go of their addiction. 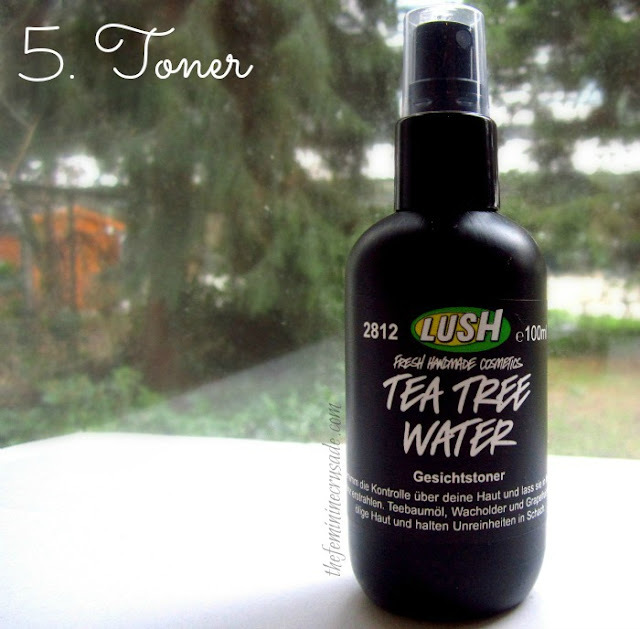 I was lucky enough to stumble upon LUSH Tea Tree Water; because you know what ladies, this stuff is awesome-r than the Liz Earle toner. It is cheaper, feels refreshing and keeps my skin clear. The tea tree water really works wonders for breakouts. STEP 6 - After my face is all clean, it's moisturising time! 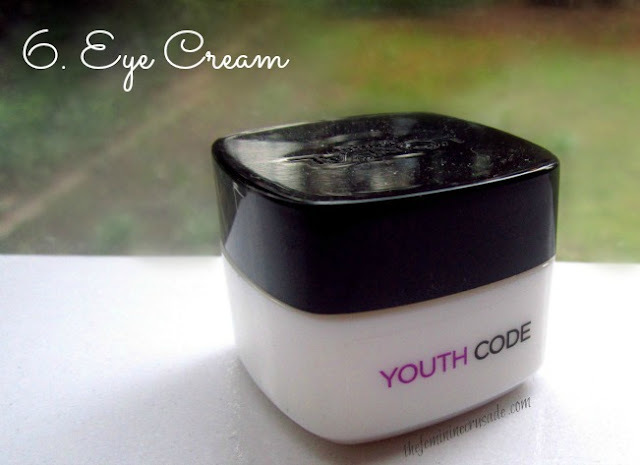 For the eyes I use L'Oreal Paris Youth Code Eye Cream and it is one of the most moisturising eye creams ever. However, it doesn't do much for the dark circles. 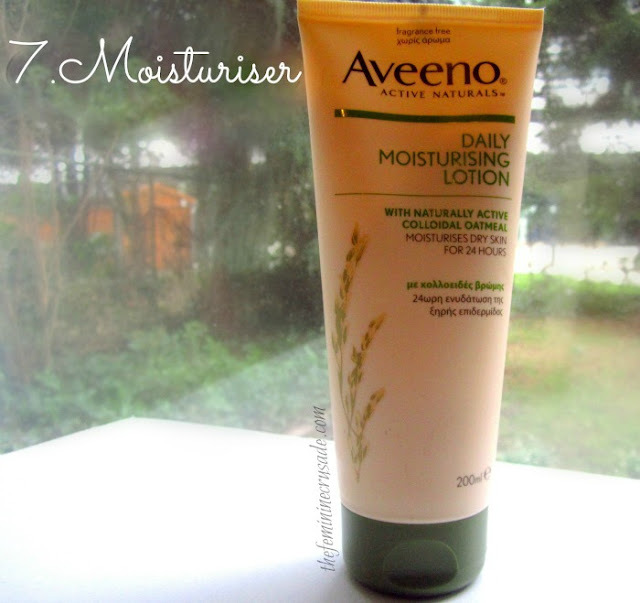 STEP 7 - From L'Oreal Paris to The Body Shop to Anatomicals I have tried quite some moisturisers but there was never one which would moisturise my skin without leaving a single dry patch, not be greasy and not break me out; until I saw missglamorazzi using this Aveeno Daily Moisturising Lotion. It was so cheap that I had doubts about it working. But I LOVE THIS STUFF! I got it from UK and I am fearing the day I will run out of it. It literally makes my skin like a baby's you-know-what! STEP 8 - And last I apply Carmex Classic Moisturising Lip Balm. 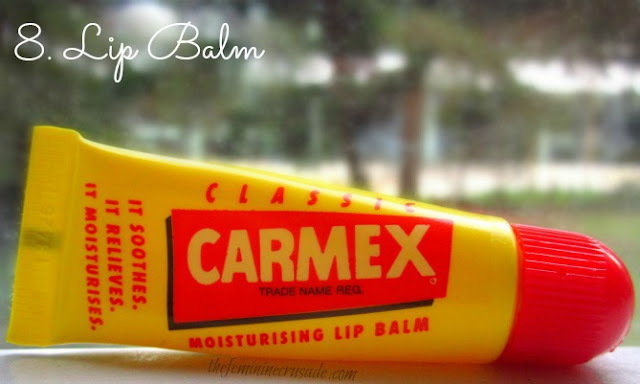 It is one of the best overnight lip balms. For day wear not really, but for night amazing. When I wake up my lips feel super hydrated and smooth. So that's all ladies! I don't think my routine is very complicated, it's quite basic and something we all should try sticking to. Trust me, I have learned from experience, a good skincare routine really makes a difference! 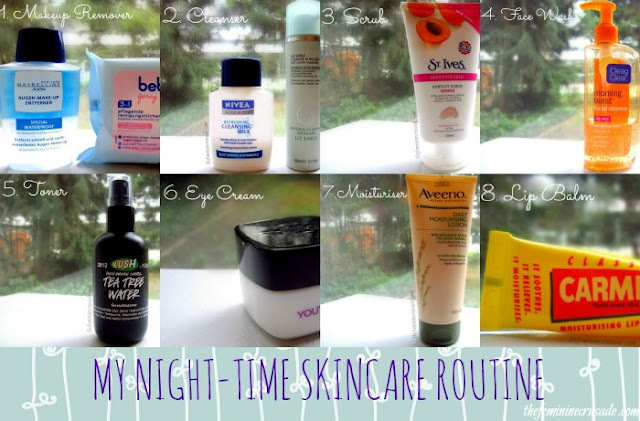 What are your staple skincare products?